The yarn for the chuppah-cabra has finally arrived! 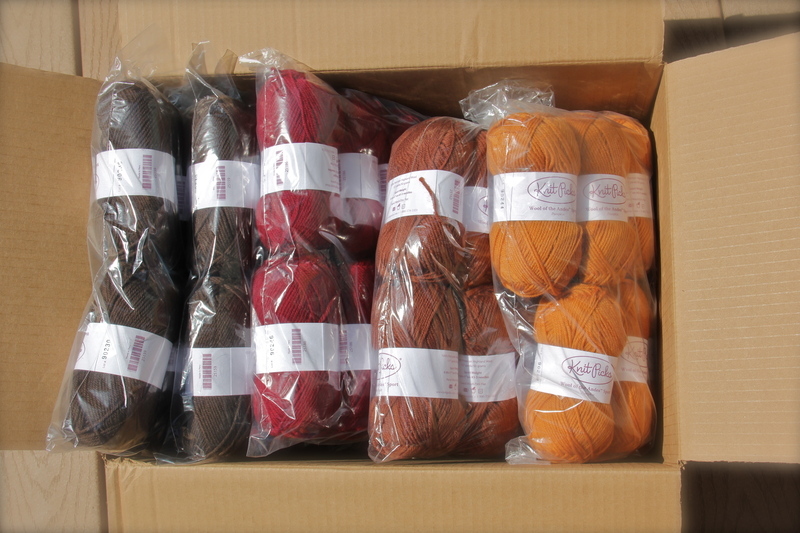 It’s a big box of yarn that arrived on my doorstep yesterday. There's more yarn in there than I'd like to admit. I over-ordered, and am still afraid that I'll run out. I was so excited about getting the yarn, that I completely ignored the rest of the mail. 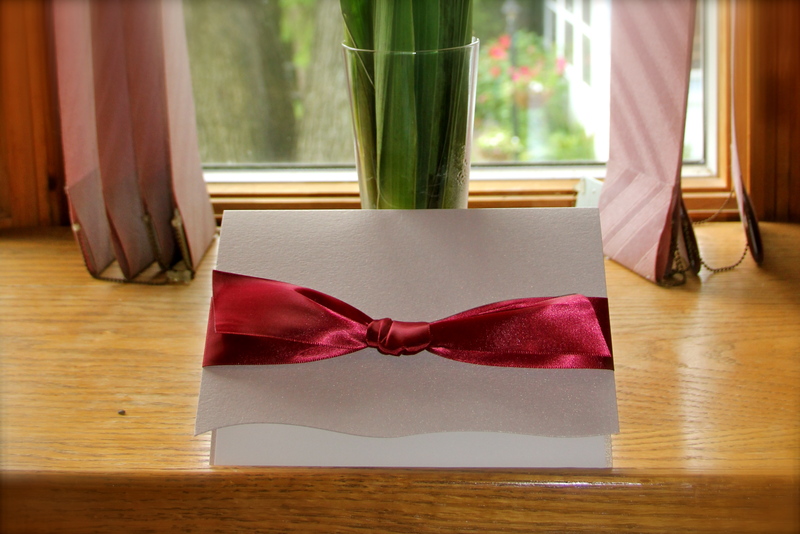 It wasn’t until hours later that I discovered there also was a heavy, white envelope…with our wedding invitation! After waiting for the yarn day after day, it seems fated that it would arrive with the wedding invite. 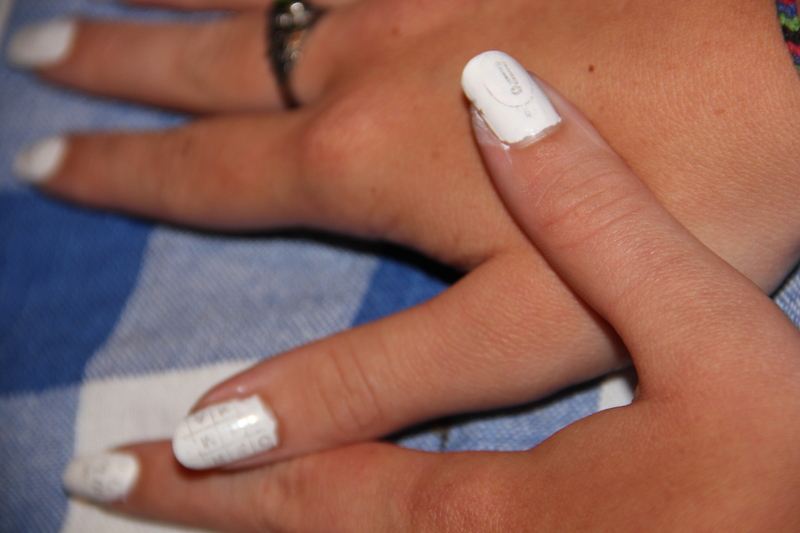 Vanessa chose the crossword solutions for her nails. Jessica tried several different images and text. I think her thumb exclamation mark worked best. I chose comics for mine. Then I pretended they were talking to each other. a close-up of Garfield and the fish. 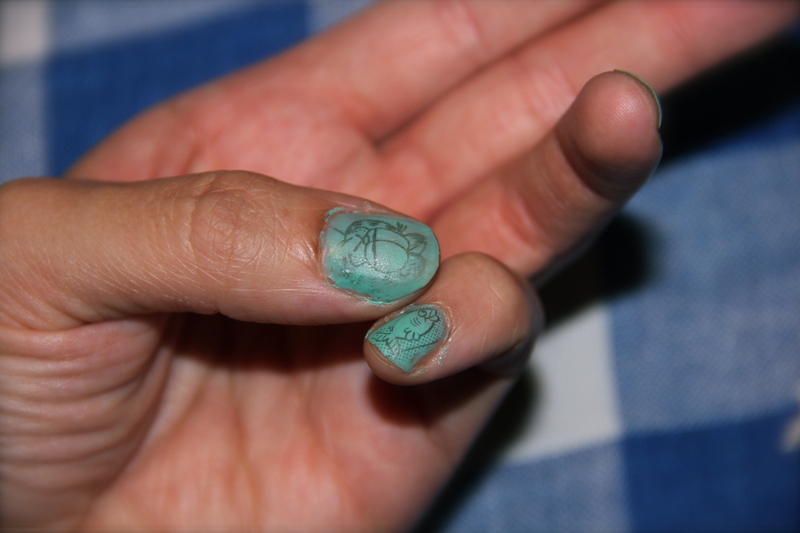 don’t rub the newspaper onto your nail, it will smear. just hold it in place with pressure. 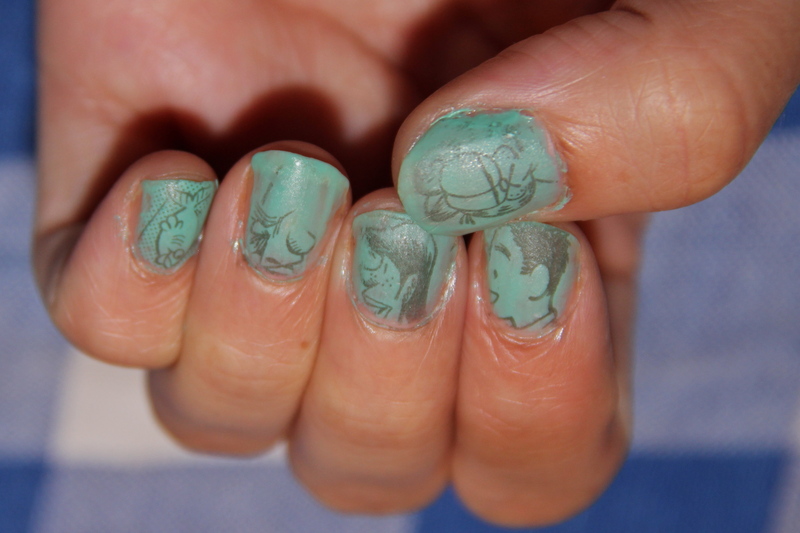 clear coat after the ink is very dry. too early and it will fade the image. I washed my hands without sealing them and the images started fading.